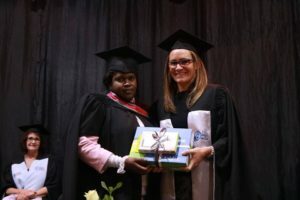 The Institute for Open Learning (IOL) held its annual graduation ceremonies over two legs recently. 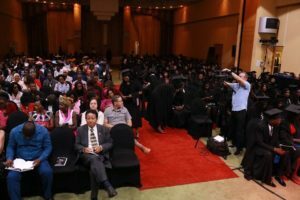 A record number of 466 students graduated this year. 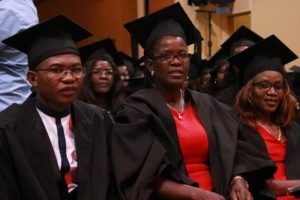 Speaking at the Windhoek ceremony which took place at the Nampower Convention centre, Deputy Minister of Education Dr. Becky Ndjoze -Ojo congratulated the graduates and wishing them well in starting off this new chapter in their careers. 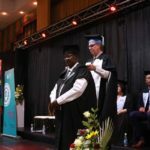 Following hot on the heels of the Windhoek event was the Ongwediva ceremony at the ever popular Bennie’s Entertainment Park. 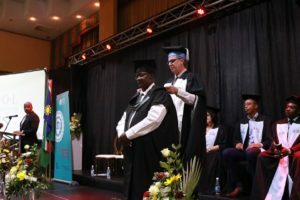 Packed to capacity with proud ululating parents and friends, graduates received their awards with grace and a deep sense of satisfaction and pride. 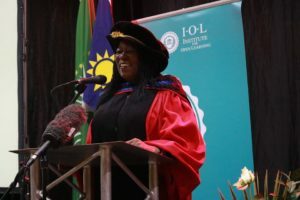 The ceremony was successfully concluded with a networking lunch with invited guests and colleagues from the IOL Ongwediva office. Graduates used the opportunity to capture this memorable day with some pictures taken with their loved ones.